After his initial apprenticeship as a lithographic writer and engraver at the Fife Herald in Cupar, Thomas Annan moved to Glasgow in 1849 and worked as a lithographer and engraver for Joseph Swan until 1855. 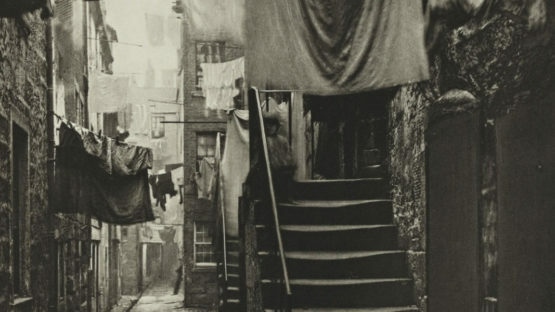 He set up business with George Berwick at 40 Woodlands Road, Glasgow, listing in the 1855 – 56 Glasgow post office directory as calotypists, practitioners of this early form of photography. In 1855, he photographed RMS Persia, under construction on the Clyde, which was probably a commission by engineer, Robert Napier.